Every month, hundreds of people plan a vacation to the mesmerizing hill station Dalhousie which offers an interesting ambience of the Victorian times. Often, as a tourist, you fail to understand the importance of the hotel that you choose to stay in. Like a home, if your stay is not decent enough, you will have a sour trip irrespective of how beautiful the destination is. If you are planning a vacation trip to Dalhousie, then you can decide to stay at the Victorian styled four-star Hotel Mount View, which offers one of the most prestigious hospitality services in the hill station. From the most luxurious rooms to several extra benefits, Hotel Mount View offers all. Wondering how different a hotel room can be? 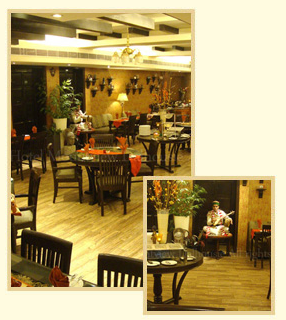 Well, there is a reason as to why Hotel Mount View is taken as one of the most preferred hotels to stay in Dalhousie. You can either stay at its Premier Room or try out one of its Luxury suite, with the cost varying depending on whether you want to include meals during your stay or not. The suite is centrally air conditioned, consisting of a living area with an adjoining room. It comes with a tea/coffee maker and has a mini bar available as well. You can enjoy a warm bath in its cubical shower and enjoy your favorite shows on its HD/LED/LCD Satellite TV. 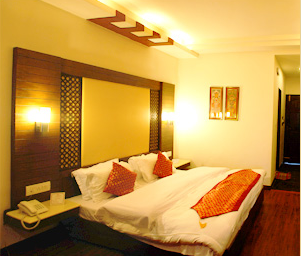 The Premier room offers a bedroom with a study table and sitting arrangement. Whether it’s a gym or a playground for your kids, whether it’s a swimming pool or a spa, Hotel Mount View has been delivering quality services ever since it was established in 1895. It houses Dalhousie’s first and only spa-Anandam, which provides the perfect atmosphere to bring tranquility to your soul. The Kettle House Restaurant at Hotel Mount View not only serves the warmest of tea but is also a home to Kettles from eras that have gone by! Its Holly Bolly lets you enjoy a good movie time with your family and friends whereas its Book Worm Library lets you delve into rich literature as you take a sip from your cup of coffee. You can also play several indoor games at Attic- The Game Room and get to taste the Himachali culture through the Folk performances organized during the evening time. In case you want to conduct a conference, then you can check the various conference halls styles which include the Boardroom, the Classroom and the Theater style, serving the various different requirements. The Hotel Mount View has maintained its top rank since more than a century now and continues to win the hearts of all the people who choose to stay here. The experience of Hotel Mount View is not something that you will get to experience anywhere else, given all the specific and distinct services that it offers. Treating its guests no less than Gods, Hotel Mount View has change the very concept of a hotel stay.